The river lies on the far west from Kathmandu. The rafters run through narrow gorges having challenging rapids. The biggest river in Far West Nepal, starting and ending at Kathmandu, 3 to +4 graded Moderate River. The Karnali, Nepal's mightiest river, descends through the Himalayas in the series of magnificent gorges. It drains most of the far west of Nepal. It is called "Wild West". The area it flows through is wild and unspoiled with some of the pristine jungle scenery in Nepal and abundant wildlife. The Karnali is a gem, combining lowland trek. 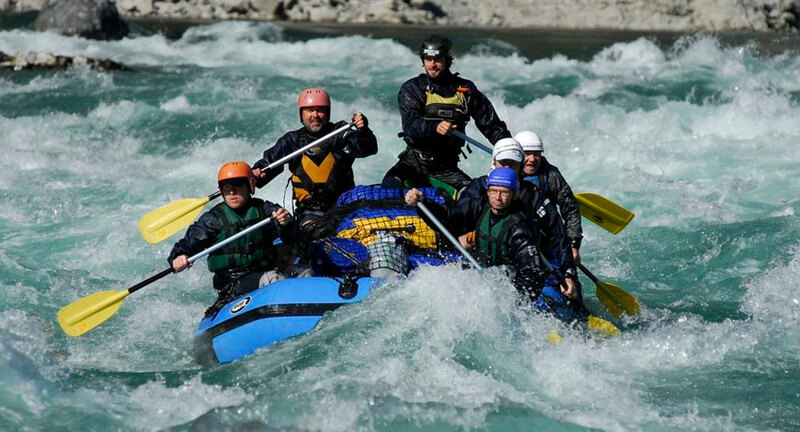 Exceptional big volume rafting through tropical jungle deserted beaches and small villages. The rapids are also petty wilds, with the river building to its climax in these lower canyons in a matter of hours, as the river rises the difficulty increase exponentially.